UPDATE: According to Scott Fire Chief Chad Sonnier the incident is isolated. Right now they are waiting for a crew out of New Orleans to come with as separate tank vessel to transfer the remaining acid out the turned over tractor trailer. The driver of that big rig was not injured and no other vehicles were involved. 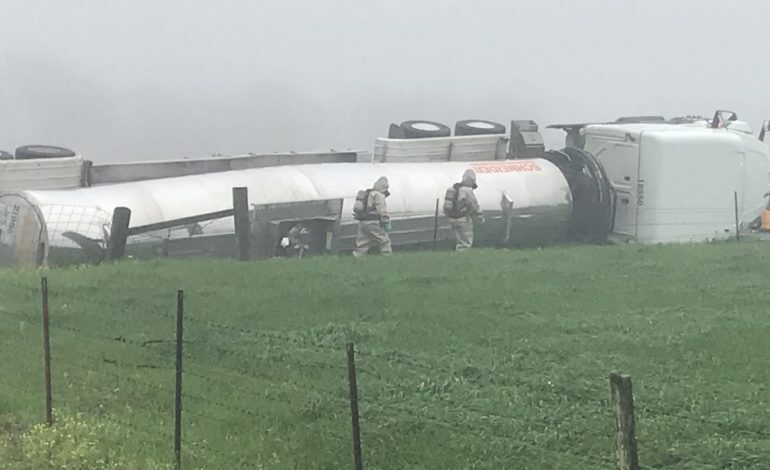 Scott Fire Department, Lafayette Hazmat and LSP Hazmat Officials are on the scene in the 800 Block of Heide Circle, for an accident involving a tractor trailer transporting Glycolic Acid. We are in the process of stopping the leaking material. Once this is completed, the trailer will have to be offloaded to another tractor-trailer. This process is expected to last a majority of the day. We ask people to stay away from the area, but no evacuations are needed at this time.